I recently traveled to North Conway, New Hampshire, for a weekend of shopping, enjoying the outdoors, and avoiding work. 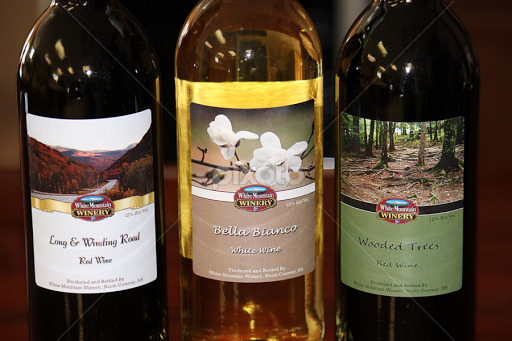 One of my shopping destinations was White Mountain Winery, one of our crew’s all time favorite wine spots in New England and home to the best reds you’ll ever taste. Thrilled to restock my favorite wines, I rushed to the store…which was closed for production. Because all of New England had beat me to it. This winery, nestled behind the main downtown shopping district of North Conway, is the worst-kept secret in the wine world. A new tourist destination, the little winery struggles to keep their fruity flavors on the shelves. And who can blame them? 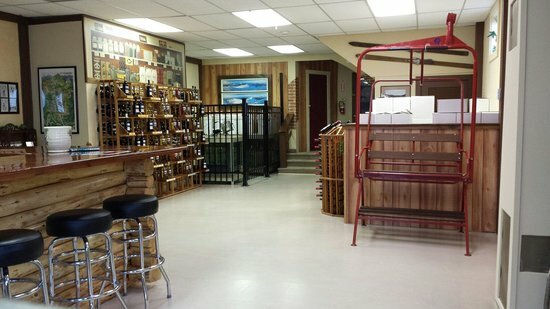 The small winery features narrow shelves of bottles and a tasting bar where visitors can sit back, relax, and taste the different flavors before deciding on a purchase. It’s a cool, sweet way to break up the day. And it helps that their puppy mascot is always around and eager to greet customers! Kristen discovered the winery for us over a year ago when she brought back a blackberry Cabernet Sauvignon, “Mountain Moose.” We were newer to reds at the time, and it was the perfect way to step into the fuller bodied wines. We also became fans of their Pomegranate and Blueberry wines, which also balanced sweetness with fruitiness. It was definitely a disappointment to miss out on restocking my White Mountain goodies, but the three of us plan on returning to Conway this September after the crowds have passed. Bottles are all equally priced at $15 and are usually around 12% alcohol. Very good wines. 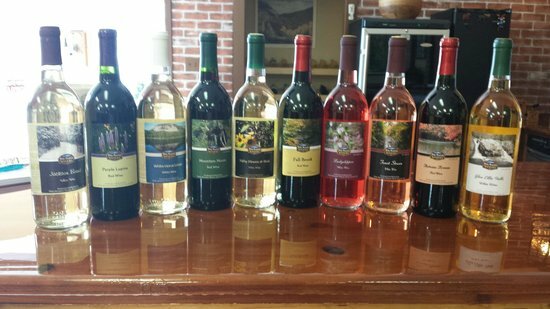 However, “best” New England wines are Boyden Valley Winery, VT.
We haven’t tried Boyden yet – thanks for the recommendation!